This price refers to our cheapest airport parking product available at East-midlands Airport within the next 61 days, at 12am on 24/04/2019.The quoted price today is from 24/06/2019 to 01/07/2019 at 12am searched for on 24/04/2019 and is the total cost for these 8 days. Our East Midlands airport parking selection boasts a range of car parks that are just a stone's throw from the main terminal building, so you can get your holiday off to a stress-free start. You can save money on Short Stay parking (the closest car parks to the terminal) Mid-Stay and Long Stay parking or Meet and Greet. When you book in advance with BCP you can save up to a whopping 60% off the gate price. We make sure we offer the most competitive airport parking deals and we support this with our Price Protection policy on all of our car parks. Take a look at our handy East Midlands airport parking map below to see exactly where our car parks are located in relation to the terminal building. Parking near East Midlands Airport terminal is made easy with BCP. With 5 car parks all within walking distance of the check-in desks, you really are spoilt for choice. Each boast remarkably low prices for a service that guarantees to save you time. 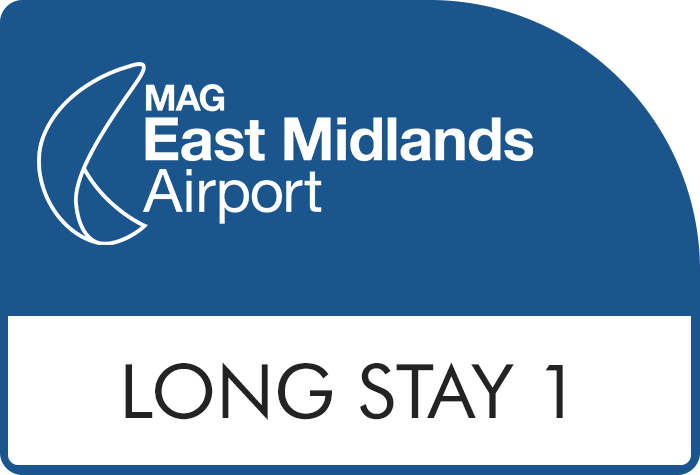 For many of us convenience is of utmost importance, therefore being close to the airport is high on the agenda when considering East Midlands car parking options. Keep your parking at East Midlands airport smooth and straightforward with Short Stay 1 and 2. Both car parks are equipped with ANPR systems meaning you'll be able to glide past the entry barriers, park up and, since both are located on the airport's doorstep, you'll be able to stroll to check-in in no time. There's no need to worry about your car while you're away; the car parks boast reliable security including round the clock CCTV and regular patrols. For added peace of mind both packages let you keep hold of your keys so you know your car will stay exactly where you parked it for the duration of your trip. These car parks at East Midlands airport perfectly balance cost and convenience. Expect quick and easy parking procedures, fantastic security features and a simple walk to check-in from all 3 car parks. 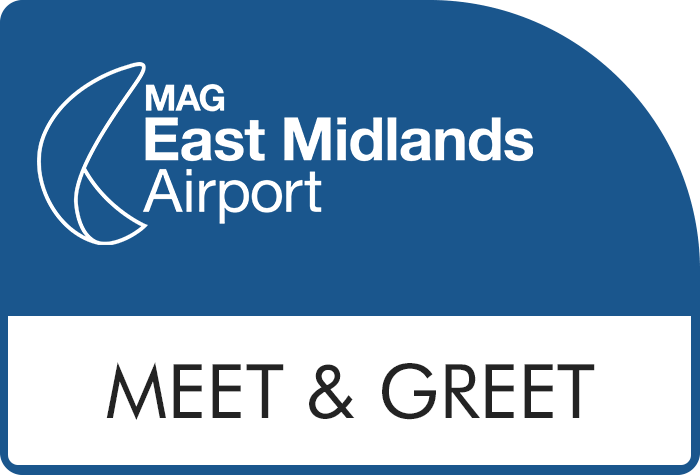 Alternatively, if you're after more of a personal, hassle free service with your airport parking at East Midlands you can choose between Meet and Greet services which operate from the airport terminal, speeding up your journey, and, surprisingly, costing very little extra. JetParks 1 or JetParks 2 should be at the top of your list if you're looking for the cheapest East Midlands airport parking. In addition to bargain prices, these airport-run Park and Ride services ensure parking is stress-free; the process couldn't be easier and transfers run every 15 minutes and only take 10 minutes to reach the terminal. Even better? Transfers are free, so there's no need to worry about pesky, additional charges. The security at all official East Midlands car parks is top notch and JetParks is no exception. 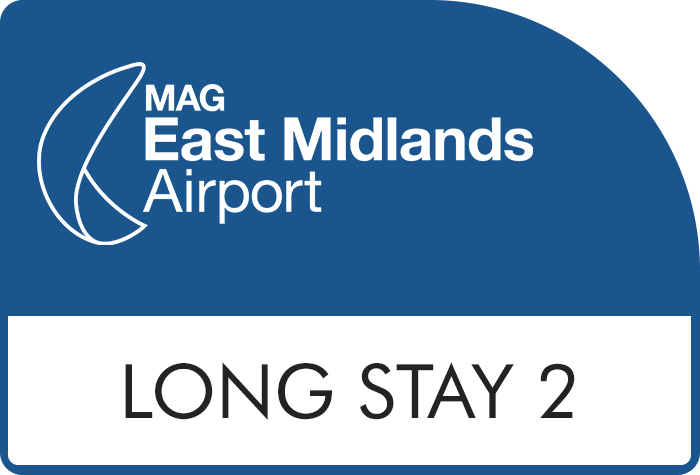 East Midlands Long Stay 1 and Long Stay 2 offer a very similar service to JetParks - secured, reliable and affordable parking. The main difference being that the Long Stay car parks are located closer to the terminal - you'll be whizzed off to check-in in just 5 minutes. Get into the holiday mood early and have a professional driver take care of your car while you walk to check-in - it's the quickest and easiest way to park at East Midlands airport. The official airport Meet and Greet service will make your airport parking feel effortless - park in the 'rapid drop off' bay within the Short Stay car park and hand over your keys to your friendly driver. They'll take your car to be parked securely in the Long Stay car park while you walk to departures. Other Meet and Greet options include: Stress-Free Parking and Prestige Parking Meet and Greet that both provide a very similar service. Please note, however, we aren't selling these two operators at present. Meet and Greet offers an excellent choice for customers with disabilities, large groups or families, and is particularly useful for those with bulky items such as ski gear or impressively large suitcases, as you'll step out the car metres from the check-in desk. Book in advance - Pre-book your parking (the earlier the better) to enjoy bargain, advance rates and often a much wider selection of packages to choose from. Super Saver deals - If you know your plans are set in stone keep an eye out for our Super Saver deals. These packages offer special, low-cost rates so they are perfect for making sure you have a little extra for your holiday spending pot; but it's important to keep in mind they are are non-flexible, meaning you can't cancel or amend once your booking has been made. Take a look at our handy table below, detailing the typical daily price of all of our East Midlands airport parking options, to help you decide which best suits your budget. Please note: Prices are correct at time of writing but are always subject to change and fluctuations throughout the year. 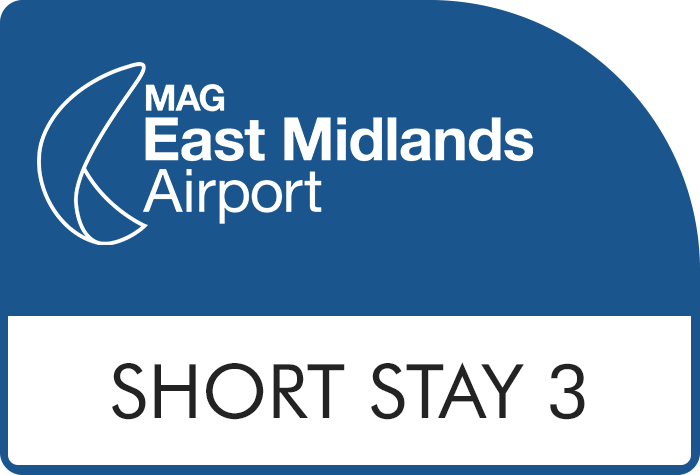 If you're dropping off or picking up passengers from East Midlands airport there are a few parking options to choose from: Short Stay, Rapid Drop-off, and Long Stay 1. Short Stay - Located just a 2 minute walk away from the terminal. Pay £3 to park for 30 minutes. Rapid Drop-off - Situated right outside the terminal building this is the closest pick up/drop off. Pay £2 for 10 minutes parking (and £1 every minute afterwards). Long Stay 1 - From the car park catch a transfer to the airport - you'll be there in 5 minutes. Park for free for up to 1 hour. Combining your airport parking with an overnight stay at a nearby hotel is a fantastic choice for savvy travellers - when you compare the cost of parking alone, against an East Midlands airport hotel with parking package, you may be surprised to discover there isn't much difference in price - they sometimes even work out to be cheaper! For example you can book the Days Inn hotel with 8 days parking at Long Stay 1 from as little as £59, compared to £37.99 for parking on its own. Just consider your hotel room as an ultra convenient and affordable extra. 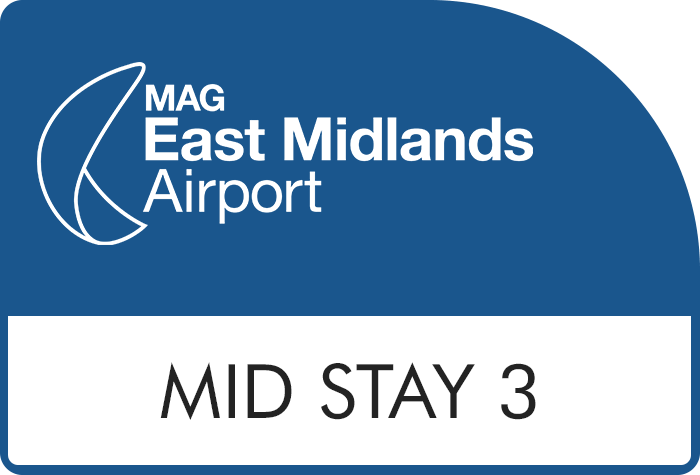 Booking a combined East Midlands airport parking and hotel deal is not only a great money saver, it can really help relieve some of those airport stresses. Forget about the hectic early morning drive to the airport and end your trip with a relaxing night's sleep instead of a late night drive home. Disabled customers: Please check the individual facilities available from the different car parks at East Midlands airport.